When it comes to Littleton AC repair services, we’re the ones to call. Give us and our team of reliable service technicians a sign at the first sign of cooling troubles. When it comes to contractors in Littleton ac repair service is one of our specialties. We are open 15 hours a day, 7 days a week to handle any job pertaining to ac repair in Littleton. When you contact us, our knowledgeable and experienced technicians will arrive at your home or business in a timely manner and be able to quickly and efficiently diagnose and repair any and all issues. If repair is a viable option, we can quote you’re a reasonable cost and perform the repair fast. This allows you to start feeling the comfortability of a functioning AC unit again with little to no hassle. If the unit is old or the problem is severe, we are also the best deal you will find for Littleton air conditioning service. If you know your current unit has given up the ghost and that you are in the market for a replacement air conditioning system in Littleton, give us a call and let us amaze you with our low rates, fast turnaround time, and friendly staff and technicians. Perhaps you do not currently have central A/C installed in your home. You may have been using window units but are contemplating central air conditioning as a more effective cooling solution for the entire home. If you are looking for Littleton air conditioning installation, look no further than Brothers, Plumbing, Heating and Electric. 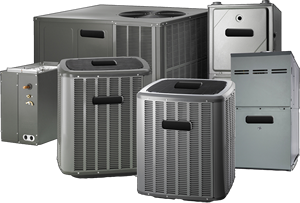 Our technicians have the experience and knowledge to perform any central AC unit installation, as well as any related repairs or maintenance. This includes, but is not limited to, any additional electrical or plumbing work that may need to be done. We will handle all aspects of a Littleton air conditioning installation quickly and affordably so you and your family will be comfortable on those hot summer days. Brothers Plumbing, Heating and Electric is your Littleton ac repair and service one stop shop. Our knowledge, experience and five star service will not be matched by any other company offering ac repair in Littleton. If you need a repair or possibly maintenance for your air conditioning in Littleton, then please give us a call today, so we can help you and your family to cool off through the dog days of summer. To learn more about how a new air conditioning system can save you money on your energy bill, then just visit this page today. Each and every one of our professional Littleton AC repair technicians is standing by to help you with your cooling system troubles.